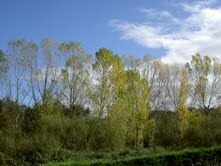 Golden-browns and rusty-reds: clear signs of autumn in Galicia. From now on, bright sunny days will be an infrequent luxury. Dark clouds and wet weather provide a vivid backdrop of shade and colour. Another year is drawing to a close and nature signals the way. Soon the temperature will fall, as quickly as the autumn leaves; but not just yet. I whisper my thanks to Mother Nature and raise my voice to Jack Frost. Autumn brings few benefits: the kitchen garden is empty and the raincoat is always wet but there are a few. The lawn mower begins its winter hibernation and best of all it’s time to enjoy the Magosto fiesta. On balance, Magosto is my favourite fiesta: crispy pancetta, crusty bread and that most seasonal of delicacies, roasted chestnuts. This pagan festival is believed to date back to the Celts who settled this land during the Iron Age around 500 BC. Like many pagan festivals, Christianity hijacked the idea centuries ago. Here in the village of Canabal, Magosto is celebrated on the 1st of November: All Saints day (El dia de Todo los Santos). It’s a busy time in the village. People come from far and wide to tend the graves of relatives, clean the family sepulchre, dress them with fresh floral tributes, and light prayer candles in memory of loved ones departed. It’s customary for the village priest to hold mass at the cemetery but with rain forecast, he’d broken with tradition and chosen the church for this year’s venue: from Mass at 5:00 to Magosto at half past. Melanie and I left the house soon after 5:30; strolled into the village and on to the Local Social (village hall). Cars lined both sides of the street, a rare sight indeed. Villagers were leaving church and heading our way. For tonight at least, the gap between Christianity and paganism was a mere 15 metres. Across the road from the Local Social, less devout neighbours were busy slicing crusty loaves, frying the salty pancetta and roasting the tasty chestnuts. We waited in the street chatting with neighbours. 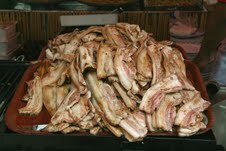 Tempting aromas of fatty bacon drifted through the crowd. Buckets of crusty bread and platters of sizzling pancetta coaxed everyone into the hall. One long table stretched the length of the room with benches either side. We gathered around the table: one big happy family. The wine flowed, the volume rose, and the pancetta disappeared. Pepe entered the hall carrying a large cardboard box and thumped it down onto the table. 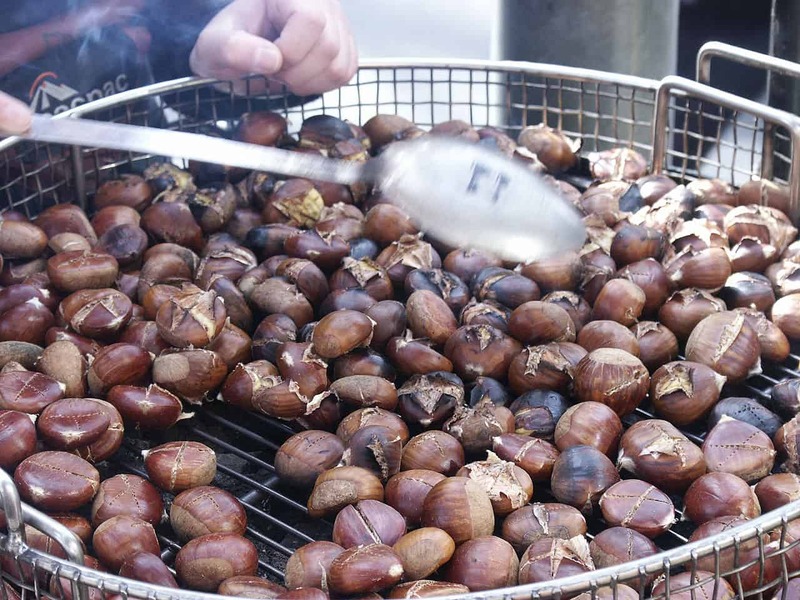 The scent of roasted chestnuts was unmistakable: rich, sweet and nutty. Everyone rushed towards the box, eager to taste this year’s harvest. Blackened fingers and piles of shattered husks were testament to their taste. Once the feast is consumed, mischief is in the air. 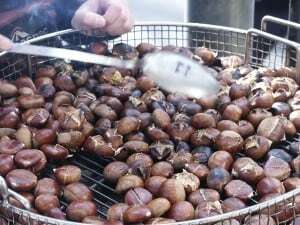 Some believe that the chestnuts represent the souls of the dead and by eating them they are released from purgatory. To bestow good luck on the living, the charcoaled husks are smudged across the face. José made his way through the crowd to say goodbye. Earlier in the evening we’d spoken to him about his son who has moved to Manchester for work. He leant forward to kiss Melanie on the cheek and she reciprocated. Melanie’s naivety was José’s opportunity. He whipped his arm up and with a handful of blackened husks smudged her cheek. From eight years to eighty, everyone gets involved. 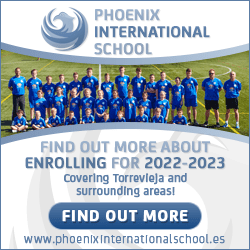 Community, neighbours, friends: the Spanish way of life.